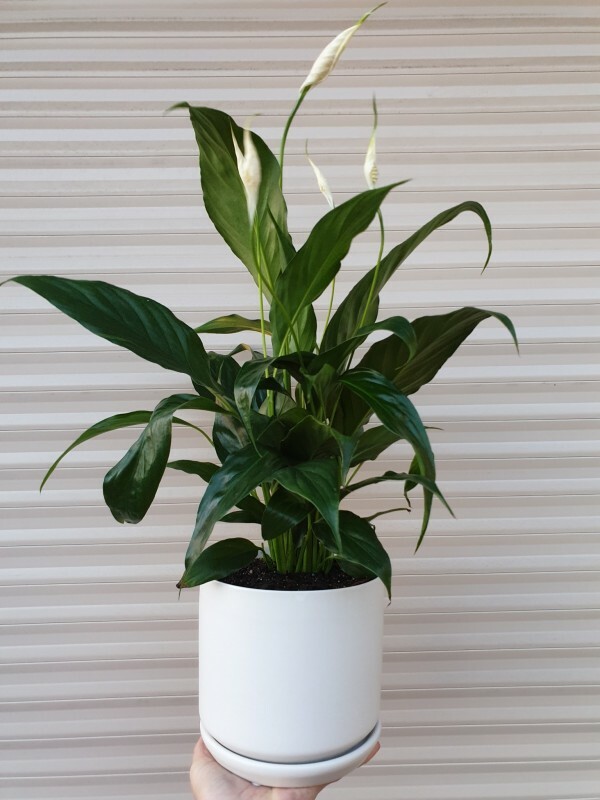 This classic Peace Lily is a beautiful flowering plant with flowing dark green lush leaves. An easy care plant that thrives indoors in most rooms of your house (just no direct sunlight). Also known for it’s air purifying qualities. With foliage that remains stunning all year round, the peace lily adds in gorgeous white flowers on long stems for a statement.